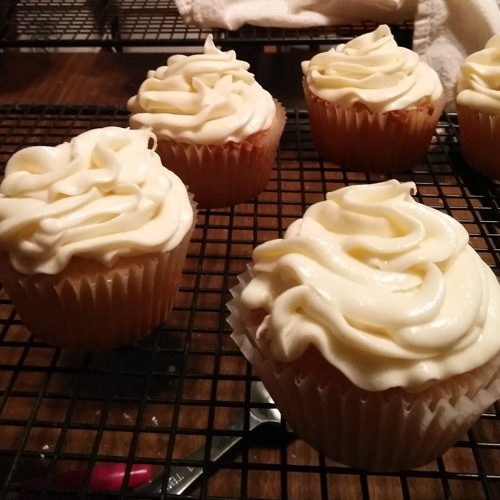 Today, Anna Mac takes over and shares her newly invented recipe for Piña Colada Cupcakes! Accidentally almost dairy free, and would be super easy to make vegan as well. And of course they use Mary Mac's white rum vanilla! Be sure to check us out online on Facebook and Instagram (@marymacbakehouse), Twitter (@marymacmixes), and on our website, www.marymacpodcast.com! You can also see us in person at Standing Chimney every Saturday in November!